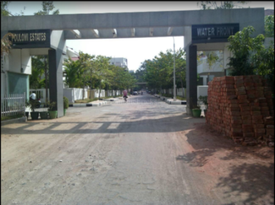 VILLAS IN APARNA HILL PARK BOULEVARD,CHANDA NAGAR,HYDERABAD. 4 BHK--357 SQ Y--E/F--3600 SFT--2.30 CR. 3 BHK--315 SQ Y--E/F--2930 SFT--2.25 CR. 4 BHK--330 SQ Y--E/F--3409 SFT--2.50 CR. 4 BHK--330 SQ Y--W/F--3475 SFT--2.40 CR. 356 SQ Y VILLA--W/F--4100 SFT--2.20 CR.